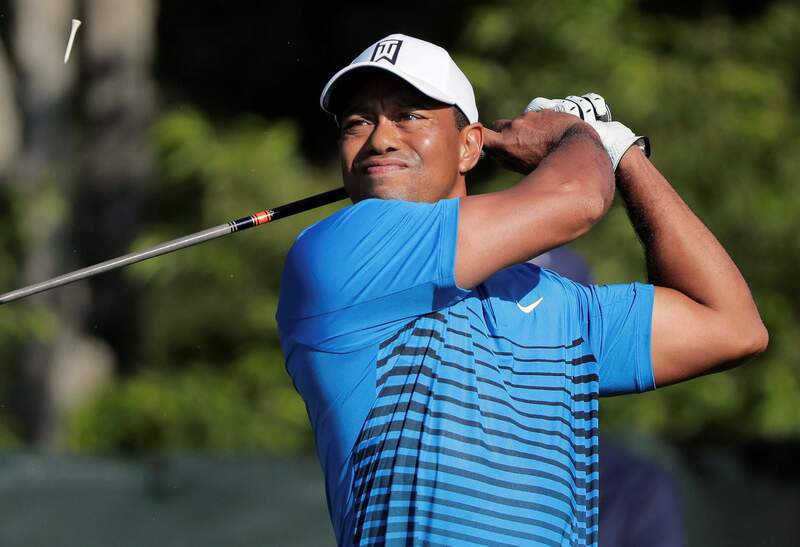 Tiger Woods tees off the fourth hole during a practice round for the U.S. Open Golf Championship on Tuesday at Shinnecock Hilles in Southampton, N.Y.
Dustin Johnson hits off the fourth tee as Tiger Woods looks on during a practice round for the U.S. Open Golf Championship on Tuesday at Shinnecock Hilles in Southampton, N.Y.
SOUTHAMPTON, N.Y. – Tiger Woods returned to the U.S. Open for the first time in three years and hardly anyone noticed. He was at a low point in his career and his personal life. While recovering from fusion surgery – his fourth surgery on his back in three years – he was arrested on a DUI charge and found to have a mixture of two painkillers, the sleeping aid Ambien, the anti-anxiety drug Xanax and the active ingredient for marijuana in his system. He entered a clinic to get help and pleaded guilty to a reckless driving charge that kept him out of jail. 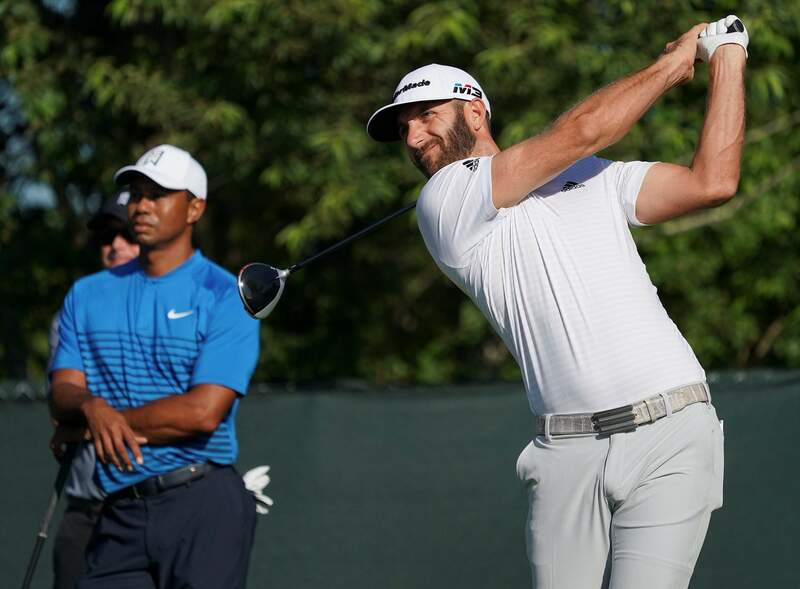 Woods played nine holes in the afternoon Sunday and Monday – a change from the days when he would sweep the dew off the grass first thing in the morning – and nine holes Tuesday morning.